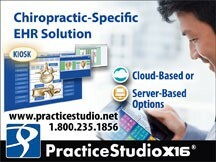 Mighty Oak has been instrumental in changing the way chiropractors interact with their Electronic Health Record (EHR). Chart Talk was fully certified for Meaningful Use in March 2011, long before many other EHR software providers. 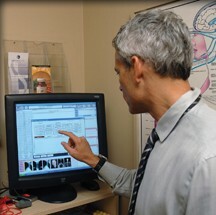 In fact, Chart Talk users were among the very first DCs to successfully attest for Meaningful Use and receive their stimulus reimbursement, i.e., in July 2011, Dr. Chris Johnson, a St. Paul MN chiropractor, was the first Chart Talk user to attest to possessing and demonstrating Meaningful Use of a certified electronic health care record. Chart Talk’s top-notch training and customer support is designed specifically to facilitate chiropractors becoming compliant, and fully understanding what Meaningful Use is all about. 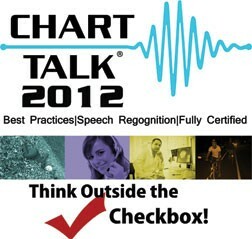 Chart Talk Electronic Health Record has been designed specifically with speech recognition in mind. The company is a platinum partner with Dragon Medical, ensuring that practitioners can rely on a seamless interface with speech recognition software. Quick, intuitive and easily customizable, Chart Talk For Meaningful Use allows you to dictate your treatment plans, diagnosis, pain scales, and thank you letters once, and then recall them with one quick voice command. It allows users to train their voice for five minutes and begin dictating their notes immediately. To learn more, call their team of experts, visit Mighty Oak online, or email them at info@mightyoakinc.com. PostureCo, Inc. is a technology company focused on bringing innovative fitness and healthcare software products to chiropractors. Their main software offerings are PostureScreen Mobile, LeanScreen and PostureRay. The PostureScreen Mobile App works for Apple iPad/iPhone and Google Android devices. With PostureScreen Mobile, a clinician can document not only postural deviations along with follow up comparisons, but also functional movement analysis using video capture and annotation. 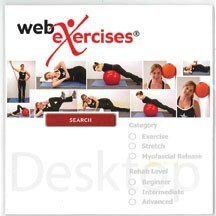 Further corrective exercises can be prescribed through Web-Exercises. Reports can be exported as PDFs and emailed securely. In addition, a clinician can now use the LeanScreen Module to assess Percentage Body Fat, Waist-To-Hip ratio, BMI and BMR, all from photographs. The PostureScreen Mobile App is available at the iTunes App Store or at Google Play for $19.99 with additional upgrade modules available. The PostureRay, an x-ray analysis EMR system, generates stunning ROF reports from x-rays, as well as providing objective documentation for spinal subluxations, including ligamentous laxity and scoliosis along with comparative reports. This flagship x-ray analysis EMR software runs on all versions of Windows. Various x-ray formats can be utilized from digital DICOM, to DMX, to plain x-rays that take photos. 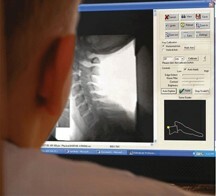 Once the x-rays are analyzed and documented, a doctor can quickly export the PDF and annotated jpg images to existing EHR software or simply print. 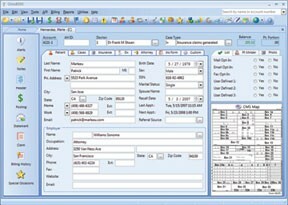 Comparison reports, Instability reports, "Stress X-Ray" reports and much more can easily be generated from this computerized mensuration EMR system. 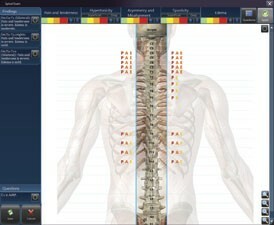 Pulse Software, LLC has been serving the chiropractic market since 1966. Their mission is to produce and deliver the highest quality products and services to their customers, embracing creativity, innovation and advances in information technology. ChiroPulse365 is their fifth major Windows release and was designed by chiropractors for use by chiropractors, supporting the office and patient work flow faced by all chiropractic offices. This software is an advanced tool to help you complete your work quickly. Two versions are available, ChiroPulse365 Ultimate and ChiroPulse365 Essentials. ChiroPulse365 is easy to use and designed for rotating staff with barely any training. The software provides continuous on-screen help on each window so your staff always knows what to do, wherever they are. The new patient wizard helps to collect useful data while eliminating errors when adding insurance, etc. The patient workspace is organized for tasks and intended use. 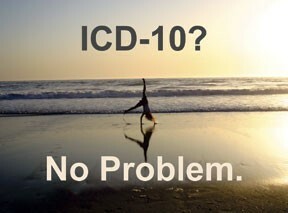 Both versions are HIPAA compliant with customizable access levels to limit data viewing by users. 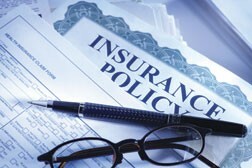 The software provides complete insurance tracking and patient billing, including accounts receivable and accounts payable information and reports. The charges and payment ledger provides the flexibility to view current and/or past records. 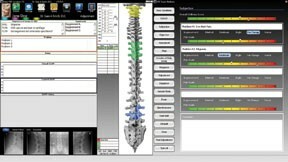 To find out how Pulse Software’s two versions of ChirPulse365 differ and much more about their many features, go online to www.chiro365.com. Quick Notes is an industry leader in chiropractic portable documentation solutions. Since 1989, Quick Notes has supported the chiropractic profession with cutting-edge, affordable software products that are easy to learn and simple to use. And Quick Notes has continued their tradition of designing solutions that ensure security and protection for the chiropractic practice. In spring 2011, Quick Notes released a new laser barcode scanner, called Quixï¿½, for past, present and future bar-coding clients. This product is the fastest and most efficient barcode scanner in the companyï¿½s history. Furthermore, Quick Notes offers introductory discount pricing for the purchase of Quix, including new software, a new Wall Chart Addendum and Updated Verbiage. But it does not stop with Quix. With all of the changes in documentation requirements, Quick Notes continues to develop innovative products. 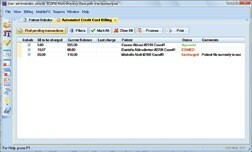 In summer/fall 2011, Quick Notes will release their Office EMR Version 5.0. This major upgrade is ï¿½stimulus ready,ï¿½ inspired by all the changes in healthcare, and will in fact set the stage for all future Quick Notes software releases. Improved patient demographics, charge capture tools, and interoperability are all included in Version 5.0. The PDQ Touchscreen System is also getting a facelift in Version 5, and soon thereafter, new products for the iPad and other portable pads and devices will be presented. Contact Quick Notes for more information and to schedule an Internet demonstration. Autumn8 is a full-featured, ICD-10 ready chiropractic practice management system designed to anticipate and solve the problems and challenges faced in a chiropractic office. A robust and flexible appointment schedule allows users to easily view the time, type, provider and status of an appointment, and live recall tools help to make your office money. Email appointment reminders are automatically sent daily to keep patients abreast of their schedule, and online appointment requests through a secure patient portal are coming soon.The Wellness Zone portal will also allow patients to fill out their demographic and intake information online from the comfort of their home. Patients are invited to score their symptoms and ADLs through the self-check-in program, which also captures their electronic signature for later printing or review. Patient accounts in Autumn8 are straightforward, showing a single patient responsibility balance and providing two types of statements for patient billing. Capable of producing both of the most popular electronic claim formats, Autumn8 allows users to stick with or choose whatever clearing house they like, and electronic EOB posting can make short work of a stack of payments. In-depth reports for claim tracking and follow-up as well as statistical reporting, payroll hours, inventory, referrals and more are only a click away. Autumn8 is a Certified EHR system, and their expert, friendly staff have supported and trained Autumn8â€™s users through the tumultuous transitions of Meaningful Use, Medicare documentation requirements, paperless notes, electronic billing, and more. Built by chiropractors specifically for chiropractors, WonderDoc is a complete practice management solution that is fully compliant as a 2014 Government Certified Chiropractic EHR. From EHR to billing, and scheduling to marketing, WonderDoc flows easily from one task to the next. Appointments and payments are managed simultaneously using dual monitor displays. 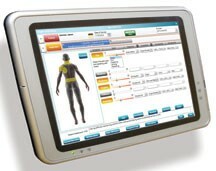 Find and record health records faster with a graphically designed interface optimized for tablets. Navigate between tabs in one window instead of inefficient pop-up windows. These are just a few of the ways WonderDoc makes recording your digital records more user-friendly, in an all-in-one easy to use system, with no extra steps, confusing procedures or unneeded bells-and-whistles. WonderDoc's powerful automated tools easily streamline numerous clinic procedures so you have more time to spend with patients, your family or yourself. Their software also offers you security and peace of mind because it satisfies Medicare's PART guidelines and is HIPPA compliant; it is fully certified, facilitating Meaningful Use and PQRS compliance; and you can rely on the most trusted database platform with Microsoft SQL Server and .NET framework, and automatic daily backups to insure that you never lose data. WonderDoc's affordable software is backed by a support team of medically-trained IT professionals who can assist with installation, training and troubleshooting, and assure your satisfaction with the company's "100 Day Money Back Guarantee."